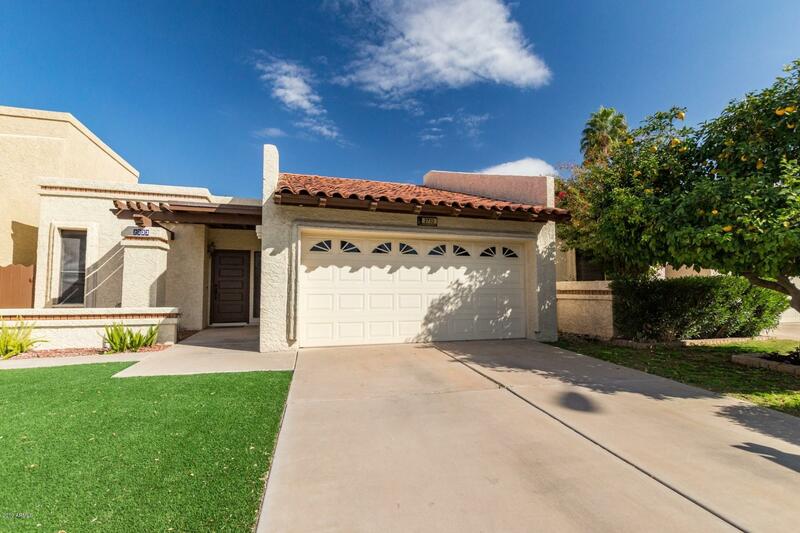 This Laguna Village home w/2BR 2BA, Den, & 1798 sq ft is available on the private cul-de-sac street of Salida del Sol across from the community pool! It features a large living room w/FRPL, dining area, and den. The Kitchen has maple cabinets, Granite counters, a breakfast bar, pantry & built-in desk to make entertaining easy & fun! French doors from the Living Room and Master Bedroom lead out to the large private back patio accented w/ brick planters. Master Bathroom & Hall Bathroom have maple cabinets & Granite counters as well. Newer tiled floors throughout living areas w/new carpeting in BR's. Exterior of home was recently painted in Nov, 2017. Front lawn is maintenance free with artificial turf which gives the home beautiful curb appeal. Don't miss out! Call for an appt today!